TOKYO (AFP) -- A Nobel Prize-winning anti-nuclear group offered Monday to pay for next week’s historic summit between the US and North Korea -- including the delicate issue of Kim Jong-un’s hotel bill. 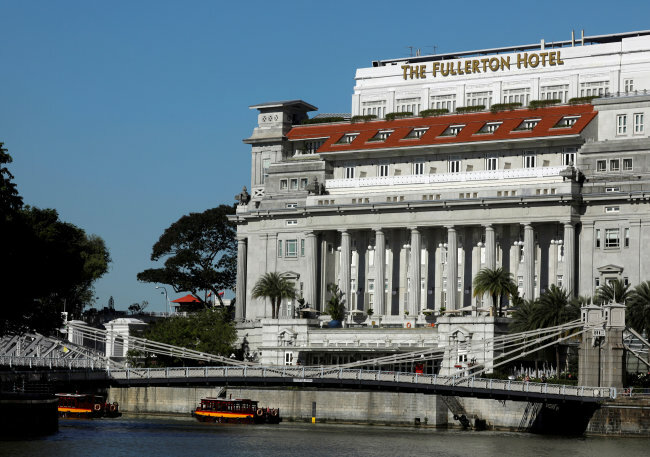 Who will cough up for lodgings at the five-star Fullerton Hotel, believed to be the North Korean leader’s preferred option, is one of many reported logistical and protocol headaches surrounding this month’s meeting between Kim and US President Donald Trump. The United States is prepared to pay but fears offending cash-poor but pride-rich North Korea, the Washington Post wrote last week. The International Campaign to Abolish Nuclear Weapons said it was willing to help resolve the impasse by bankrolling Kim’s delegation, using part of the $1.1 million cash prize it received for winning last year’s Nobel Peace Prize. “We are ready to shoulder the cost of the summit, naturally including expenses for accommodation and conference venues,” Akira Kawasaki, an ICAN representative in Japan, told AFP. “If holding the summit is in danger because of financial problems, we are ready to shoulder the cost as it is an important, historic meeting,” he added. The sum would be negotiated if North Korea accepted the offer, he said. With a private elevator offering exclusive access, the suite is 201 square meters and reportedly costs more than $6,000 for one night. Reporters camped outside the hotel last week to catch a glimpse of Kim Chang Son, Kim’s de facto chief of staff, who traveled to Singapore to lay the groundwork for the June 12 summit. The Singapore dialogue will be the first time a sitting US president has met a North Korean leader. Talks are expected to focus on denuclearization of the Korean peninsula and improving relations between Washington and Pyongyang.